Ok, NOW you can classify me as crazy! 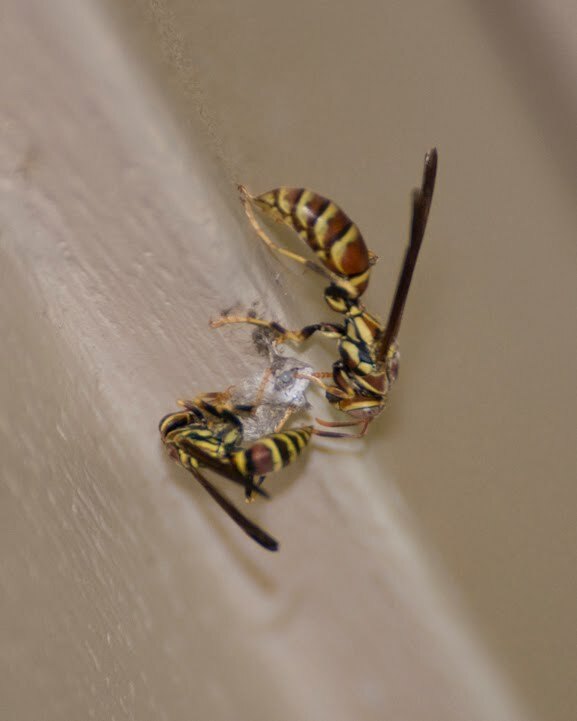 Yesterday I noticed a couple of paper wasps building a nest just outside my front door. It was fascinating to watch them fly back and forth with gobs of chewed up wood pulp in their mouths. The queen was quite a bit larger than the worker, who was probably her daughter. How nice to have some help around the house! 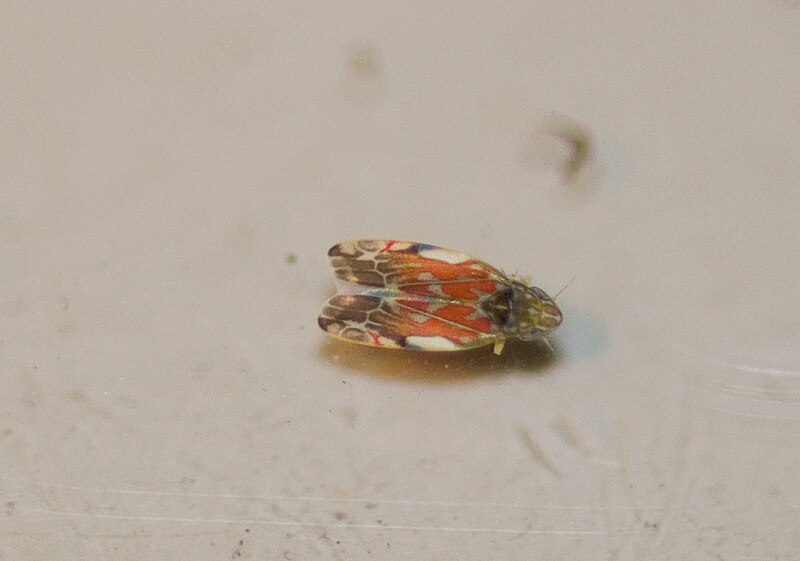 :) I stood on a stepstool and didn't make any quick movements as I zoomed in on them from a foot away with my macro lens. I noticed there was an egg in each cell, mom wasn't wasting any time getting started on her new brood of helpers! I also got a movie clip of her building the nest and laying an egg! Unfortunately, as much as I hate to kill an insect (excluding mosquitoes and flies! ), we had to destroy the nest, it would be too dangerous to have by the front door! We found another nest being build up under one of the window shutters on the carport too. 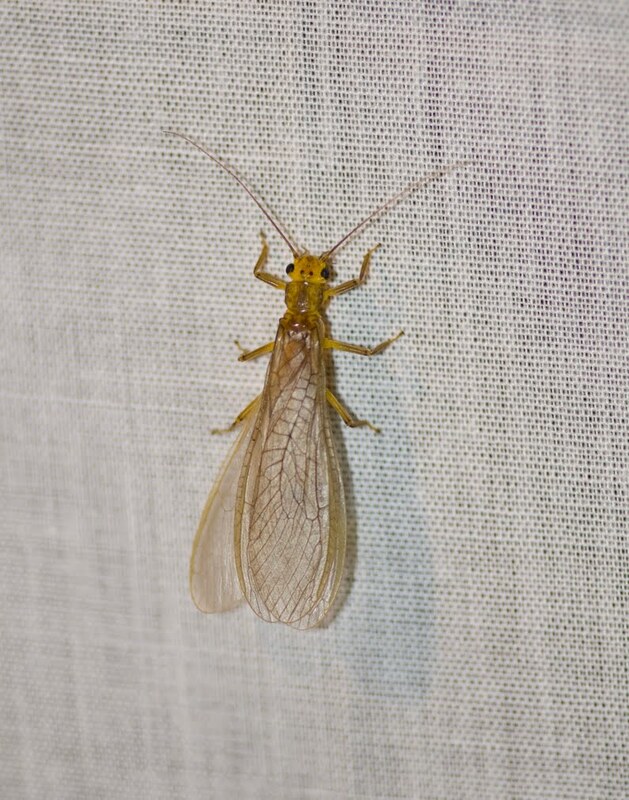 Last night was kind of a slow moth night, but I made an interesting new discovery! 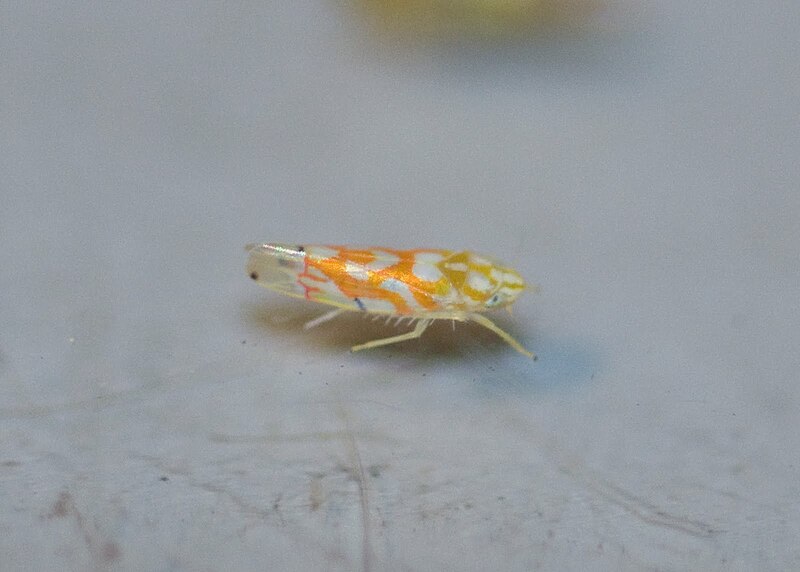 I noticed some tiny (3mm) black and white striped i nsects bouncing around on the reflector of the black light. So, I put them into a petri dish and zoomed in on them with my macro lens. I was amazed at what I saw, they were so pretty! These shots are very tightly cropped.So, keep your eyes open, you never know what you might see! With the recent broiling temperatures, I've not been outside as much as I would like. 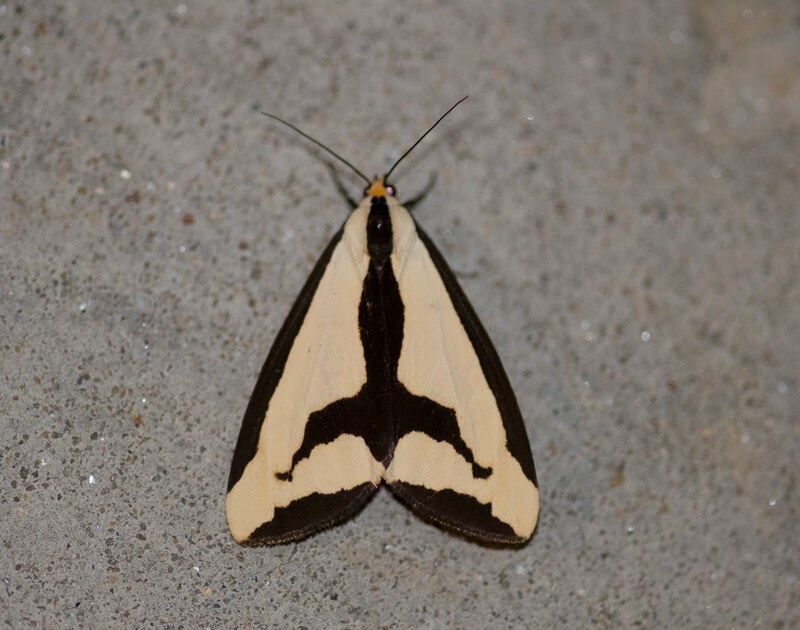 However, for the past 3 weeks I've been enjoying going out on my carport each evening to see what moths and other insects come to the black light and sheet. Every night has had different critters, lately I've been seeing loads of beetles. 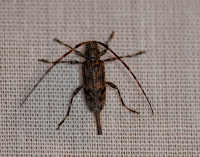 This female long-horned Graphisurus fasciatus beetle has a long ovipositor, I've never seen that on any other beetle. Click on the photo to enlarge it and check out her cool eyes! Long-horned beetles often have "wrap-around" compound eyes that encircle the antennae. 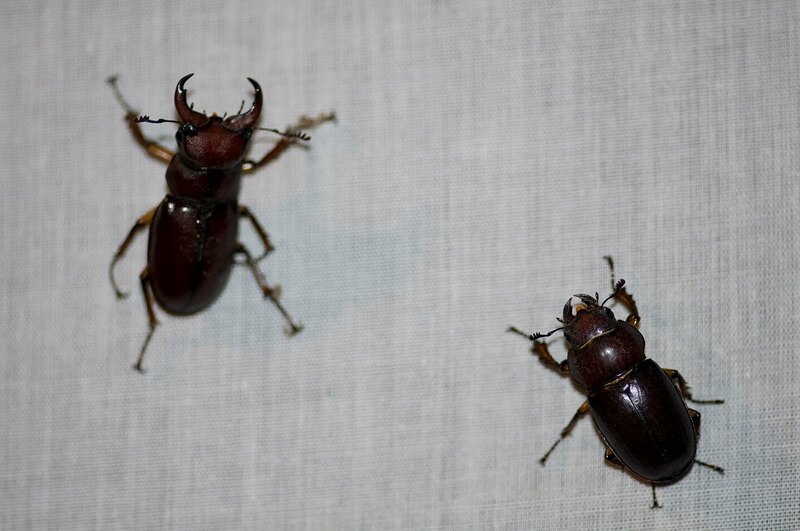 I found these 2 Stag Beetles crawling on the carport and put them on the sheet near each other to show the comparison, there was no "love connection" between them. 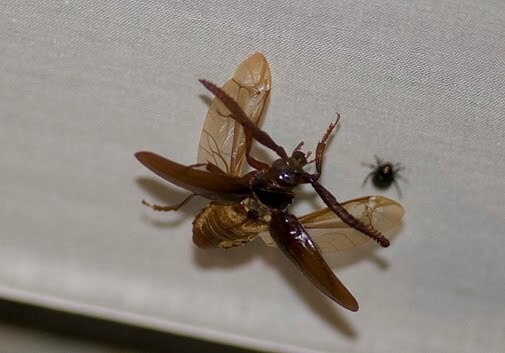 :) Males use their long mandibles to fight other males. It is a bit intimidating to pick these guys up! 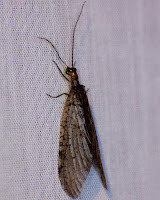 Another couple of in teresting insects were the Stonefly (left) and Fishfly (right) that came on 2 different nights. It was strange that they came to the light, they are aquatic insects and we don't live very close to water other than a small creek. The Fishfly flew on me a few times! You really have to be tolerant of insects to do this photography, they don't always stay where you want them! I have brushed many of them off my shirt, picked them out of my ears, knocked them out of my hair and even spit a few small ones out of my mouth! 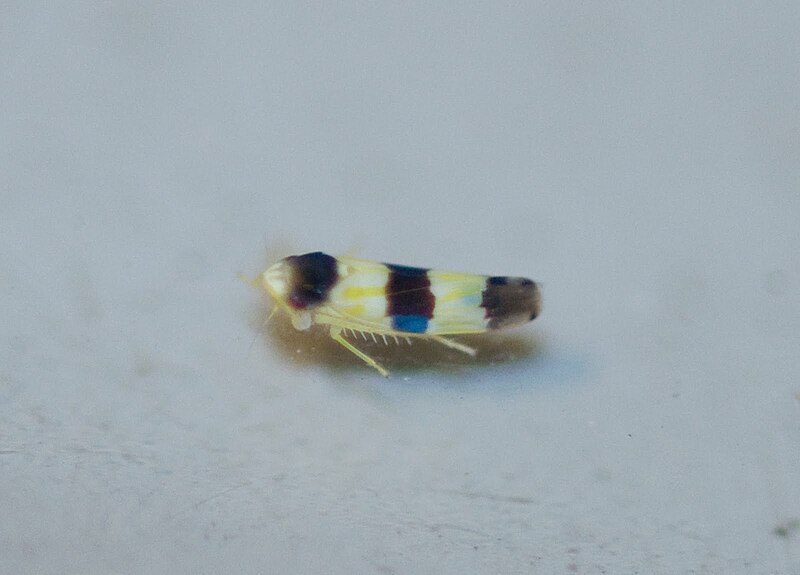 :-0 But the excitement of photographing and then identifying them makes the slight discomfort worth it! 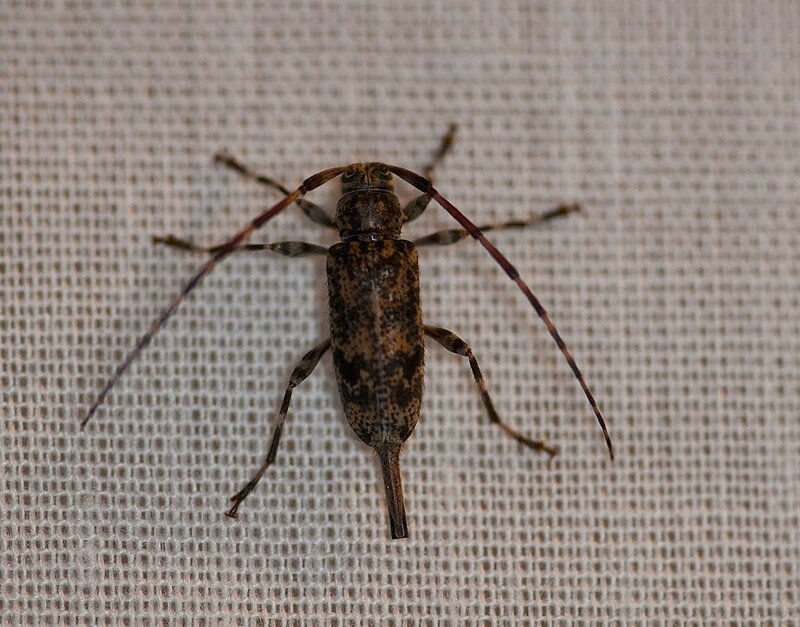 Two nights in a row this bi zarre, ~3" beetle came to the light. 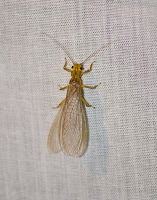 I found it crawling on the ground and placed it on the sheet to try a nd get a better photo. It was the most hyperactive beetle I've ever seen! It was nearly impossible to get a clear shot of it since it was in constant motion. This is one of my better photos, I like it because it shows another small beetle(~1/2") which gives some scale to the size of this big guy. The photo on the right shows it in flight. 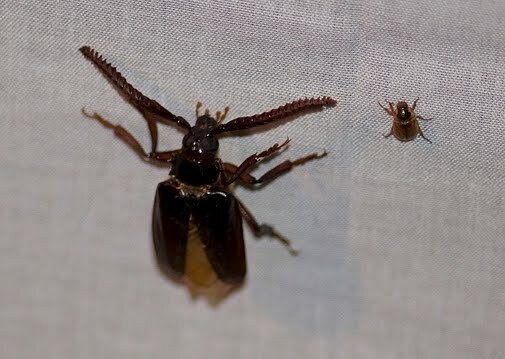 Beetles fly with just the lower wings, the upper wings, called elytra, are protective covers. 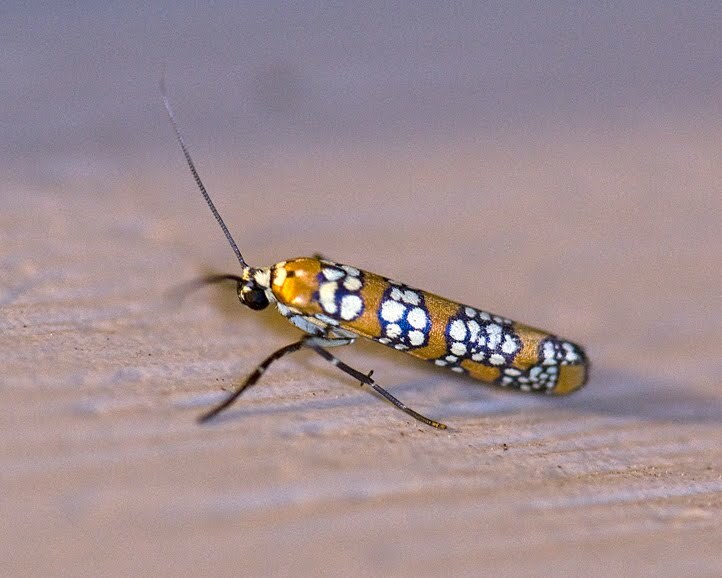 OK, enough of the weird critters, now for some pretty moths! 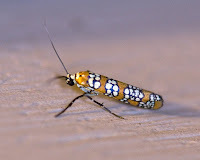 I have been seeing lots of Ailanthus Webworm moths lately, they are so pretty with their interesting black and white spots on the orange background, quite appropriate coloration for living so close to the University of Tennessee! 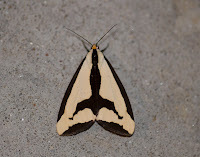 I went out "just one more time" be fore going to bed one night last week and was glad I did, this gorgeous Clymene Haploa moth was sitting on the carport. I got 2 shots before it took off!